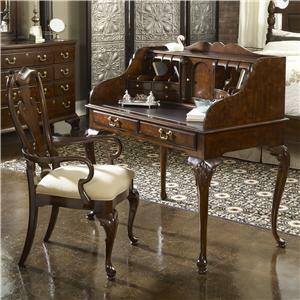 Classy and elegant, this desk has all the necessities you need. Three spacious drawers with the middle one being a drop front drawer make it easy to store all your office supplies and documents. 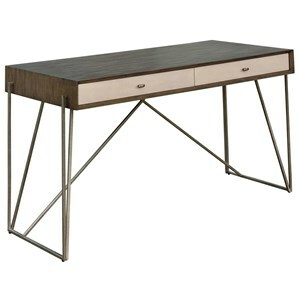 Elegant, metal X shaped legs contrast the rich warmth of the wood desk. 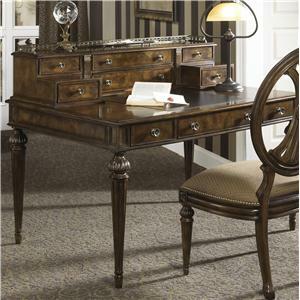 Inspired by old fashioned trunks, the desk top is sure to please in any home. 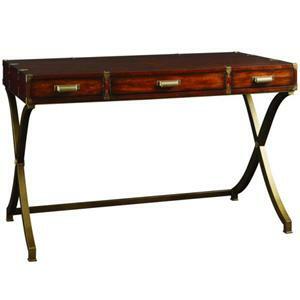 The Cachet Desk with X Legs and 3 Drawers by Fine Furniture Design at Stuckey Furniture in the Mt. Pleasant and Stuckey, South Carolina area. Product availability may vary. Contact us for the most current availability on this product. 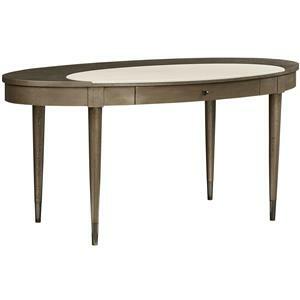 With the Cachet collection, you can add intriguing detail to any room in your home. 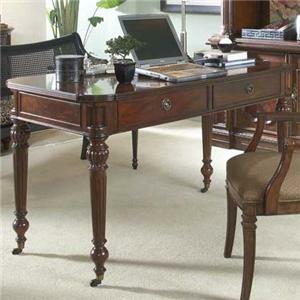 The accent pieces have an exceptional portfolio of distinctive details, including fine carvings, interesting silhouettes, stunning finishes and a mix of traditional, transitional and contemporary designs. Whether you're looking to adorn your living room, bedroom or any other nook in your home, the Cachet collection is bound to leave you pleased. 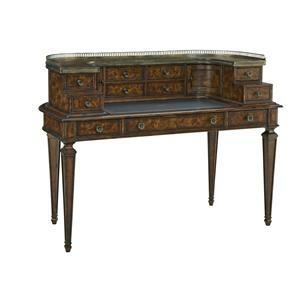 The Cachet collection is a great option if you are looking for furniture in the Mt. Pleasant and Stuckey, South Carolina area. 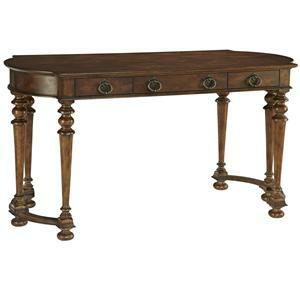 Browse other items in the Cachet collection from Stuckey Furniture in the Mt. Pleasant and Stuckey, South Carolina area.